BANGI, 28 May 2012 – The National University of Malaysia (UKM) and its partner the Stevens Institute of Technology (SIT) of New Jersey, the United States is organising a week-long workshop to enable researchers and scientists better understand the critical processes in the “Research to Marketplace” value chain. 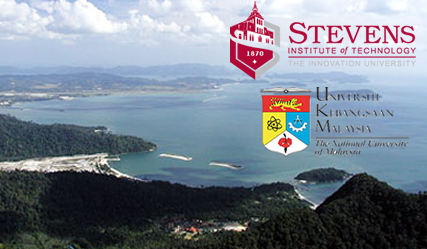 To be held in Langkawi it is the fourth such workshop undertaken for researchers, entreprenuers and officials from related government agencies. It will for the third time be attended by other universities. This time five public universities will attend namely Universiti Malaysia Sarawak (UniMaS), Universiti Malaysia Sabah (UMS), Universiti Tun Hussien Onn (UTHM), Universiti Malaysia Perlis (UniMaP) and Universiti Malaysia Terengganu (UMT). The “ UKM-SIT Capacity Building for Innovation and R&D Commercialisation Experiential workshop 2012”, will be opened by UKM Vice-Chancellor, Prof Tan Sri Dato’ Wira Dr Sharifah Hapsah Syed Hasan Shahabudin on June 3. The programme is designed for university researchers as well as for business school faculties, university administrators, government officials and investors with an interest in technology commercialisation. Scientists and researchers who have inventions or innovations which they think have commercial potential are expected to attend to discusss among others how to build business plans for their products. There will be opportunities for the researchers to sharpen their technology management and business plan skills and to know how to ensure their research has market value by using a market-driven research technique through intensive tutorials by technology management experts and serial entrepreneurs from the United States. They get to use state-of-the-art collaborative tools and work in small cross-functional teams to create a business plan that is built on current university technology. A contest will be held at the end of the workshop where every team have to pitch and present their business plans to professional judges consisting of two Technologists/Serial Entrepreneurs from Stevens and four representatives from Venture Capital organisations namely Malaysian Venture Capital Management Berhad, QuestMark Capital Management Sdn Bhd (based in Hong Kong), Cradle Fund Sdn Bhd (under the Finance Ministry) and MTDC (under Khazanah Holdings Berhad). The three earlier workshops have resulted in R&D commercialisation as well as the development of an Academic-Entrepreneurship (AE) curriculum in UKM, currently being implemented as a compulsory minor for first year students and as pilot modules for second and third year business students. Jointly developed by UKM and SIT, it is believed that this is the first ever curriculum implemented in this manner by a university. It is felt that such graduates are critical for the success of Innovation-driven New Economic Model for the country.